Erik Slavin, “Taiwan Gets Two Mine-Hunting Ships from U.S.,” Stars and Stripes, 9 August 2012. … China’s inventory exceeds 50,000 naval mines and includes significant technological advances within the past 10 years, according to the 2012 annual report to Congress on China’s military power. Andrew Erickson, Lyle Goldstein, and Carnes Lord, “When Land Powers Look Seaward,” U.S. Naval Institute Proceedings, 137.4 (April 2011): 18-23. Japanese translation now available: 大陸国家が海洋を目指す時. Japanese summary now available: 中国の航空宇宙パワー海洋任務への発展. 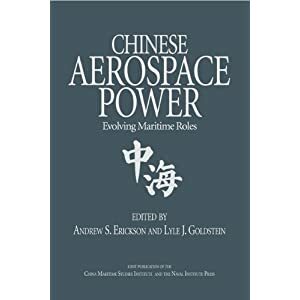 Gabe Collins and Andrew Erickson, “China’s New Project 718/J-20 Fighter: Development outlook and strategic implications,” China SignPost™ (洞察中国), No. 18 (17 January 2011). Andrew Erickson and Gabe Collins, “China Deploys World’s First Long-Range, Land-Based ‘Carrier Killer’: DF-21D Anti-Ship Ballistic Missile (ASBM) Reaches ‘Initial Operational Capability’ (IOC),” China SignPost™ (洞察中国), No. 14 (26 December 2010). “連載記事 (米国から見た中国のSea Power)” [Paper Series: “Chinese Sea Power as Viewed from America”], U.S.-Japan Navy Friendship Association (JANAFA) Bulletin, No. 38 (1 July 2010), pp. 8-30. 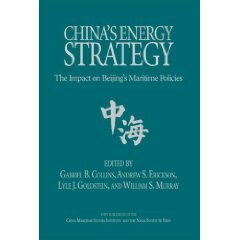 “中国のSea Powerに関する米海軍大学中国海洋研究所の論文紹介” [An Introduction to the U.S. 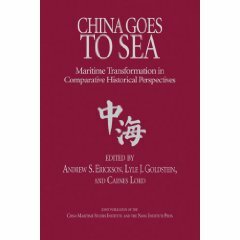 Naval War College China Maritime Studies Institute’s Research Paper Series on Chinese Sea Power], pp. 8-9. 編集委員 加藤洋一 [Yoichi Kato, National Security Correspondent], “[Part 2] 「中国空母は脅威ではない。ゲームチャンジャーは対艦弾道ミサイルだ」” [China’s Aircraft Carrier is Not a Threat. The ‘Game Changer’ is the Anti-Ship Ballistic Missile], “中国、海軍大国への胎動” [Part 2 in the Series “The Rise of China’s Naval Power”], 朝日新聞 Globe [Asahi Shimbun Globe], 10 August 2009. 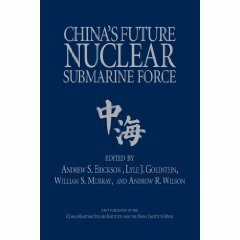 Andrew S. Erickson, Lyle J. Goldstein, and William S. Murray, “Chinese Mine Warfare: A PLA Navy ‘Assassin’s Mace’ Capability,” Naval War College China Maritime Study 3 (June 2009). Chinese translation (simplified character version/简体版) now available: Andrew S. Erickson, Lyle J. Goldstein, and William S. Murray, “中国水雷作战: 中国海军的「杀手锏,” 美海军战院中国海事研究第3号 (2009 六月), translation by苏文启 [Su Wen-Chi], ROC Navy officer (retired).